Another week, another round of workouts under my belt! It's been a good week. 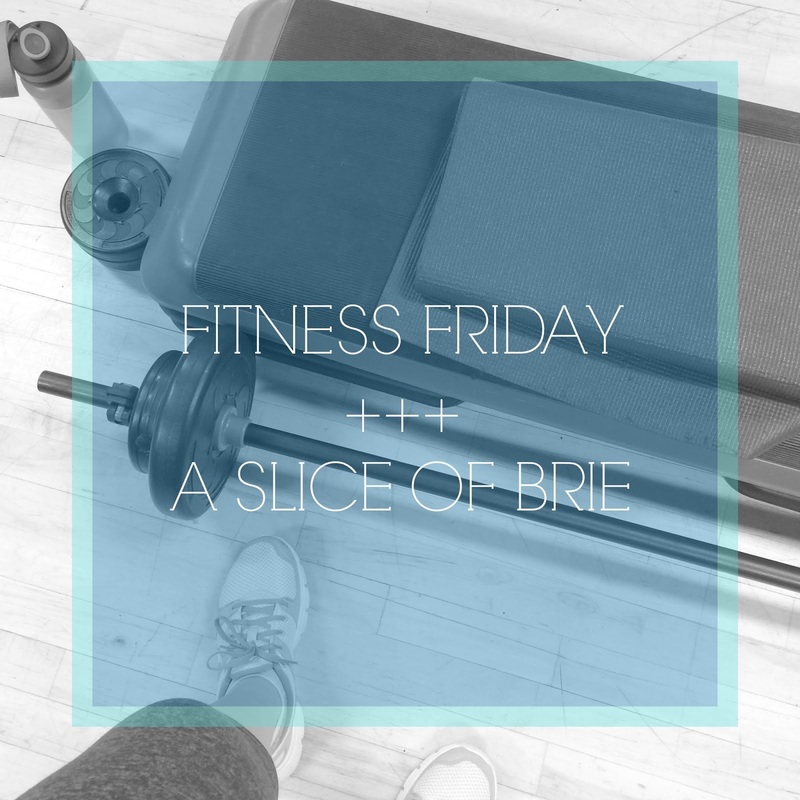 I got in all my workouts, my meal planning was a success (meaning, not only did I cook dinner every night with an actual plan, but all our meals were delicious! ), and I logged in almost 10,000 steps every day. No complaints from me for this week! Off. Unless you count running after kids at the playground and going for walks?! Saturday I logged 11,146 steps so not too shabby, but Sunday was literally a complete day of rest and I only got in just over 4,000 steps, ha! For supper I made Vegetable Beef & Rice Soup and it was so delicious! Out of all the meals I made this week, it's the only one Sully happily gobbles up. And the recipe makes a ton, so it's been perfect for lunches and I still had enough to freeze a few containers. I will definitely be making this one frequently. Supper was Sweet Potato & Black Bean Quinoa Bowls, except I totally forgot to buy black beans, so we went without. These were delicious and filling and so easy to make. Also, I need to start roasting my sweet potato in cubes like this more often - so, so good! 2.7 mile treadmill run: 5 minute walking warm-up; walk x 1 minute/run x 1 minute x 12; 5 minute walking cool-down. (12,771 steps). Another meatless meal for the week: Pan Fried Sesame Tofu with Broccoli. Delicious, cheap to make and even my husband loved it. For supper I made Quick & Easy Chicken Burritos. Oh man, these were SO good. And the easiest and quickest things to make, especially if you already have cooked chicken to use up, or cook the chicken a head of time. I dipped mine in plain yogurt and some salsa! I have a panini grill, so these were super easy to whip up and I'm already thinking about the different kinds of filling I could use in them. And that brings us to today. I have no workouts scheduled for today because I'm getting my hair done! I can't believe I completely forgot to mention that in yesterday's post as something I'm looking forward to, because I most certainly am. I'm tired of the length, and I'm planning on having several inches chopped off - see ya later, hair! 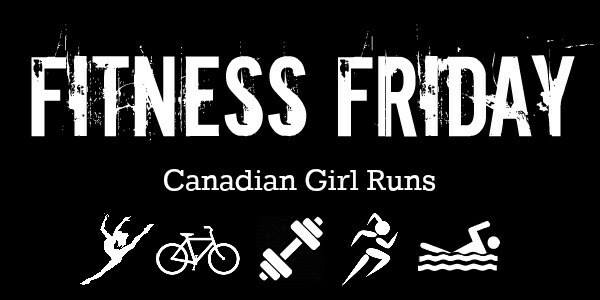 For the weekend, the plan is to get out for a little hike with our friends on Saturday, and then Sunday I'll be hitting up BodyPump as usual! Anything fun planned for the weekend? 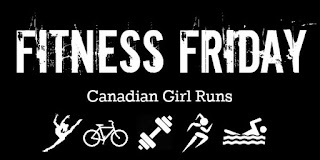 Linking up with Kris from Canadian Girl Runs for Fitness Friday!